Pen and Promarker drawing. A cloudy grey day in old London town. 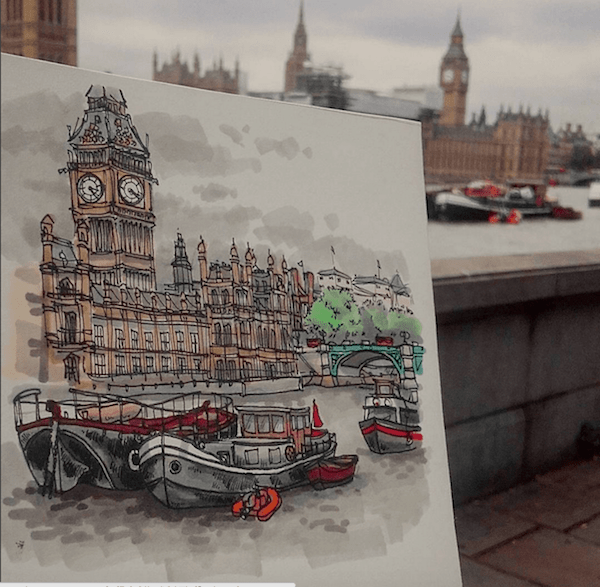 I took a seat on a bench opposite Parliament house and drew the rusty old boats, mored on the Thames. Home of the two houses of the United Kingdom’s Parliament. The Palace of Westminster was built in 1840, replacing the original medieval complex that had burnt down in 1834.